You can also edit playlists and change the playlist order of songs, clear the contents of playlists, or delete the playlist completely. If you do connect to a computer later, these playlists should sync fine with iTunes on a desktop PC or Mac. If it doesn’t happen automatically because of your management settings, you can always export the playlist manually to transfer it over to your computer too. This feature has been around since iOS 5, so just about all iOS devices should be able to do it. Now this is interested. I’ve got my girlfriend complaining to me that her iPod touch with a new playlist created will not sync to iTunes. In fact, this new playlist from her iPod will be erased instead. Now I assume this is due to the “Manually Manage Music and Videos” being checked…? I actually would create playlists on iPhone. Since I create playlists and store them on my PC. 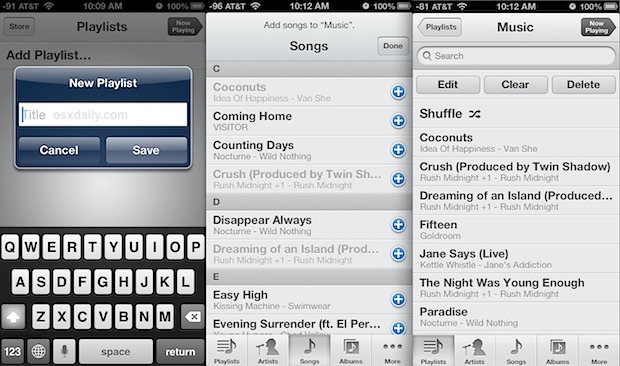 On the computer, use FonePaw iOS to add playlists and add songs to playlists in 2 steps.